Should you flirt with your ex: Here's the answer! Should You Flirt With Your Ex? We all know that when you want an ex back, there’s going to have to be some flirtation going on! But when is the right moment, and what’s the best way to do so? A lot of people write to me asking, “Should you flirt with your ex or should you play hard to get?” The answer will depend on your situation, and there are certain do’s and don’ts to keep in mind when you begin to flirt with your ex. In today’s article I am going to go over the right time to begin flirting with your ex, and how to go about doing so! The process of getting an ex back isn’t easy, so there will be a few elements to pay attention to along the way. Fortunately you’ve found this article, and I will be able to guide you from A to Z! When you begin flirting with an ex, you have to know exactly what you want and what you can offer him or her. It’s important to have a well thought out plan, because the odds of success when you wing an attempt at getting an ex back are far lower. Exactly why are you trying to flirt with your ex? I have to ask this question because I often work with men and women who want their ex back and are therefore looking for the best way to attract them back, but from time to time I also see that people want to flirt with an ex simply out of vengeance. They don’t want them back, they just want to reel them in and make them fall for them, for the sole purpose of being able to reject them. 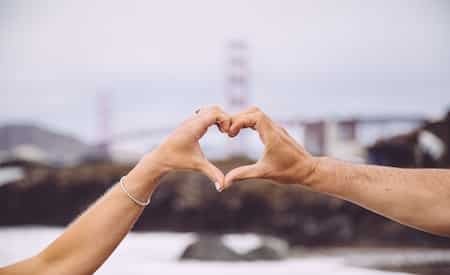 I want you to think about your intentions, and keep in mind that this article is written for those of you who are hoping to win your ex’s heart back! The goal of flirting with an ex is to build attraction between you. 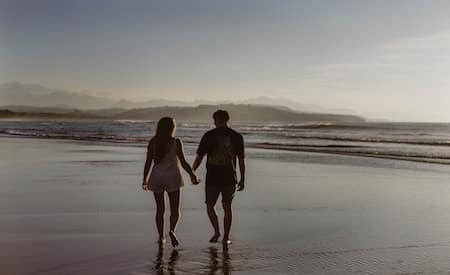 After a breakup, negative memories are at the forefront of your ex’s mind, so it’s going to be tough to make him or her as attracted to you as they were before… But don’t worry, there are tools for reeling your ex in and I’ll go over that in a moment. When you are wondering about ways to flirt with your ex boyfriend or girlfriend, you have to know exactly what you’re trying to accomplish. In essence, you want your ex to fall for you again, but flirtation is going to serve as a tool for bringing him or her closer to you. It’s not going to be the deciding factor in terms of whether or not your ex will take you back. I’ll keep this brief because I know you want to get to the good stuff, but breakups happen for a reason, right? So that means that there will be a whole slew of negative emotions following it. Right now, it is highly likely that your ex is feeling very upset about the breakup and flirting with them might not be the right move quite yet. If you’ve just gone through a bad breakup, you might be panicking thinking that you’re losing your ex forever, so you think that flirting might be the best way to pull them closer to you again. The problem with this type of thinking is that your ex needs space – especially if the break up was a messy one. Sometimes people make the mistake of thinking that they should try to be overly flirty or seductive with an ex in an attempt to get them back, when in reality it would only serve to push their ex further away. This happens when you begin trying to flirt too early on in your process of getting your ex back. Similarly, many people end up begging and pleading with their ex to get back together, and all this does is push them further away from their goal. So first things first, when you want someone back, in the majority of cases the best thing to do is actually to use the no contact rule. For more in depth information and to find out if this tool is right for your situation, click here. To summarize, This is one of the most potent tools because it gives your ex the opportunity to miss you, but it also allows you to bounce back and become a new and improved version of yourself. Start working on restoring your self confidence so that you remind yourself of what you bring to the table. Work on pursuing personal and professional goals so that you can start shaping your life into what you’ve always wanted it to be. It’s not uncommon for people to lose track of their own lives once they get into relationships, simply because they prioritize their partner over all else. The next step when using this tool is to introduce new types of activities into your life. Think about rock climbing, learning a new language, discovering new towns, surfing, remodeling a part of your house… Make sure you’re busy having fun with people that bring you joy, and always think of how you can introduce new elements to your life. Little by little your ex is going to notice that you are no longer at their beck and call, and their interest will be peaked, they’ll reach out to you, but you are not to answer them during the no contact period. This will make them want to get your attention even more, and as time goes on a seed of doubt will be planted in terms of their decision to let you go. At this point, it will be very useful to know how to flirt with a man or a woman, because your ex will be much more susceptible to it. They will have begun to wonder where you’ve been, what you’ve been up to, and how come your life looks so amazing now… They’ll start to think about what it would be like to play a part in it. So let’s take a look at good ways to flirt with your ex when you’ve gotten back in touch with him or her! When you’re working on flirting with your ex and you’ve been using the no contact rule, you are of course going to have to get back in touch with them. Keep the conversation light and funny, and then you can start to introduce flirtation as the conversation develops. You’ll begin by flirting through texts and phone calls, and then you’ll begin seeing each other face to face, which means you’ll be flirting in person. Ideally, you’ll begin very subtly. You want your ex to wonder if you’re being flirtatious or if it’s just in in his or her mind… if you come on too strong in the beginning, it can be off-putting. You don’t want your ex to feel pressured. Humor is always a positive thing. When you two have gone through a breakup, it can feel pretty heavy. This is why lightening the mood can be a great way to begin flirting with your ex. You know your ex’s sense of humor, so use it to your advantage! You can message him or her things that you know will catch them off guard and make them laugh. Similarly, think about inside jokes you had and bring them back into conversation. Find out whether or not you should flirt with your ex with tips straight from the experts! If you had an inside joke about something funny in a show or movie that you watched together, send them a picture that will make them think about it. In doing so, you’re lightening the mood, but also reminding them of the good times you had together. For example, let’s say you used to laugh your heads off watching Tropic Thunder. Reference a quote from it mid-conversation or have a hilarious meme on hand that you can send when they least expect it. You’ll catch them entirely off guard and what’s more, they’ll feel like they should reply something funny in return. This is when you can present the opportunity to begin flirtatious banter with your ex. When it comes to meeting up with your ex, you can begin to up the flirtation. One of the absolute best ways to flirt with a guy or girl is to use body language and touch. sometimes, physical signals like a hand on an arm or eye contact can communicate interest much more than words. Think about making subtle compliments on your ex’s physique, projects, and personality. Make them laugh by referencing your inside jokes and making new ones. Little by little, you can start alluding to a future together. Good flirts are confident , so always remember what you bring to the table. Each situation is entirely unique, so I encourage you to get in touch with us directly so that we can plan the perfect plan of action for you. As this article comes to a close, I also invite you to read this article on flirting so that you can find more tips on how to flirt with your ex!